For those of us who are Christians in higher education, best-in-class always begins and ends with God. What vision has God given you for leadership development for your college or university? How will you galvanize your team around the vision? The book of Habakkuk provides excellent guidelines, practical principles, and pragmatic suggestions that may be applied to the planning and implementation of successful leadership development initiatives for your institution. In Habakkuk 2:2-3, God provides detailed instructions for imparting vision. Your leadership development goals and initiatives should be clearly outlined in the form of a formal comprehensive strategic business plan that includes your mission and vision; situation analysis; program objectives and strategies; management and operations structure; marketing plan; financial plan; and implementation and evaluation plan. The situation analysis section of the business plan for your leadership development initiatives is the area where you clearly explain the importance of talent development with regards to your institution, society, and the Kingdom. Help your team understand the need and sense of urgency around human capital development. Consider including a SWOT analysis that highlights your school’s internal strengths and weaknesses, relative to succession planning, along with implications of the broader external market opportunities and threats facing your institution. Leadership development initiatives touch all levels of your institution. So it’s imperative that they’re not created in a silo that only includes human resource (HR) professionals. 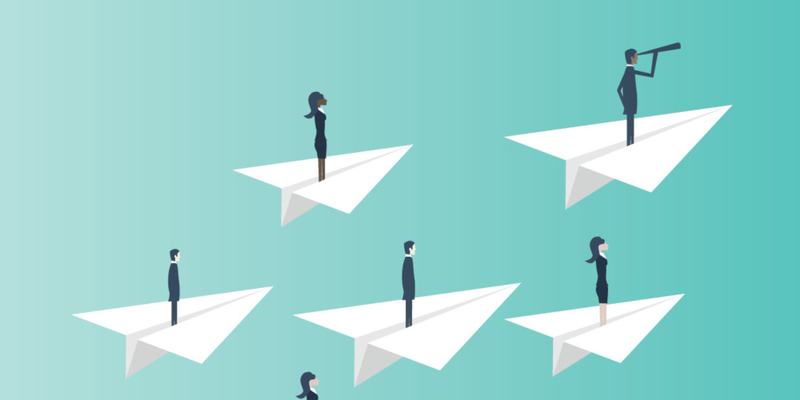 While HR may play a role in drafting the plan, it’s critical that key stakeholders across all functional areas understand the importance of leadership development to their organizations and to the longevity of the institution. Take the time to share your ideas around human capital strategy with your colleagues and get their input and feedback. This helps to drive a sense of ownership and accountability around talent development across all departments. Engage your team in appreciating how leadership development facilitates the mission and vision of the institution. Connect the dots for them. Help them understand how these programs will help the school achieve strategic business imperatives in areas such as succession planning; diversity and inclusion; women’s leadership; and student, faculty, and staff engagement and retention. Execution is critical. Be sure to clearly define roles and responsibilities in the business plan for your leadership development platform. Set your goals. Identify the required learning platforms (e.g., cohort programs, executive education classes, on-demand tools, learning management systems, etc.). And allocate the necessary resources – both budgetary and human (e.g., subject matter experts, curriculum designers, instructors, coaches, consultants, etc.). Best-in-class leadership development programs prioritize internal target audiences based on the shortand long-term needs of the institution. For example, today, your most pressing audience for leadership development support may be your front-line staff or high potentials in your development office. Later, you may find that your senior executives or middle managers require more support. Make sure that the business plan for your leadership development program is flexible in addressing the dynamic changes and needs of your institution. When other institutional priorities begin to beg for attention, keep your leadership development plans front and center. Maintain your commitment to developing your next generation of leaders, your bench strength. Remember, they are integral to the longevity of your institution. What does success look like for your institution when it comes to leadership development? Take the time to contemplate, discuss, and pray about this with your team. Then identify qualitative and quantitative variables to measure and track your progress. Assessment and evaluation should be integral parts of your business plan for talent development. Continuous improvement is essential for best-in-class leadership programs. Ultimately, for us as Christians in higher education, our focus must be on achieving not just success, but, more importantly, significance in that we’re leaving a positive lasting legacy for Kingdom purposes.